Permatech is pleased to offer metal fabrication and construction specialists of Graham, North Carolina. 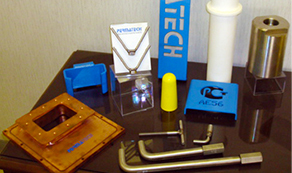 Permatech designs, engineers, and manufactures precision metal fabricated components and equipment for the global Aluminum Casting Industry. Permatech's assets and its expertise in steel fabrication provide the necessary welders, machinists, space and equipment to meet today's higher demands. 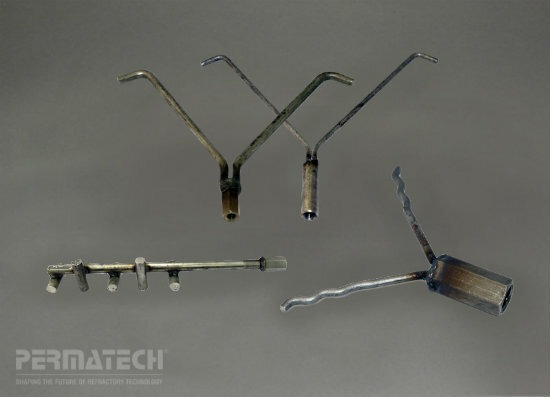 Permatech's fabrication capabilities are also integrated into Permatech's existing casting production with the ability to produce full ready to install molten metal systems. Permatech's metal fabrication specialists offer a vast catalog of capabilities whether it be by custom design or an engineered standard, from as small as drain plugs to steel shells. If it's metal, we make it happen and we are looking forward to continue to provide our customers proven and efficient metal fabrication services. • 12 welding stations with certified code welders. • Engine lathe & milling machine ideal for project work. • CNC lathe & milling operation for repeat and critical projects. • 300 ton press break capable of breaking 1" plate. • 12' sheer capable of sheering 1/2"plate x 10'. • CNC high definition plasma cutter with acetylene torch capable of plasma cutting up to .3/4" plate. 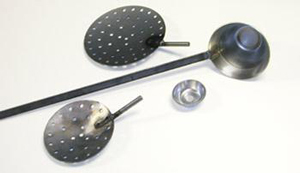 • Capable of cutting up to 2" plate with the torch. • Internal crane with 24k lb capacity. • External crane with 70 ton capacity. • 25,000 square feet fabrication facility. • Assembly areas on-site with warehouse space. 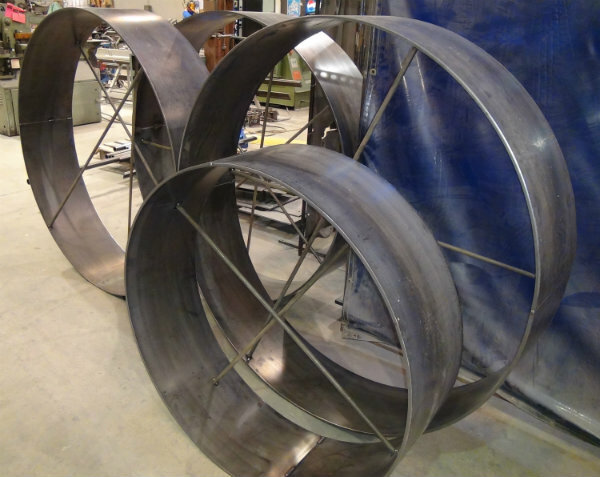 Our metal fabrication specialists offer a vast catalog of capabilities whether it be by custom design or an engineered standard, from as small as drain plugs to steel shells. If it's metal, we make it happen. 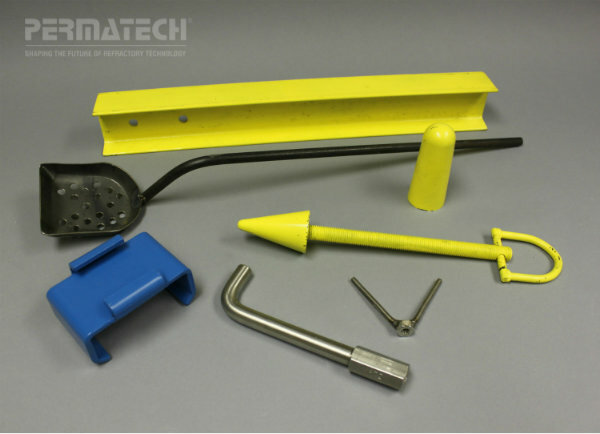 Because Permatech has full fabrication and machining capabilities, any casting or metal handling tools can be custom manufactured to meet your needs refractory coated or not.